Regulations for black bass on Caney Creek Reservoir in Jackson Parish will change on Tuesday, February 20, 2018. The existing slot limit will be rescinded and replaced with statewide regulations for the species, which is 10 fish daily creel limit with no length restrictions. The protected slot limit was initially adopted as part of an effort to increase the production of trophy bass. Following a 3-year comprehensive assessment, Louisiana Department of Wildlife and Fisheries biologists determined length limit regulations have little impact upon the fishery, primarily due to the high rate of voluntary catch-and-release fishing by Caney bass anglers. The removal of these regulations will enhance recreational opportunities and simplify regulations for area anglers; however, the department anticipates the potential for overharvest to be very low. 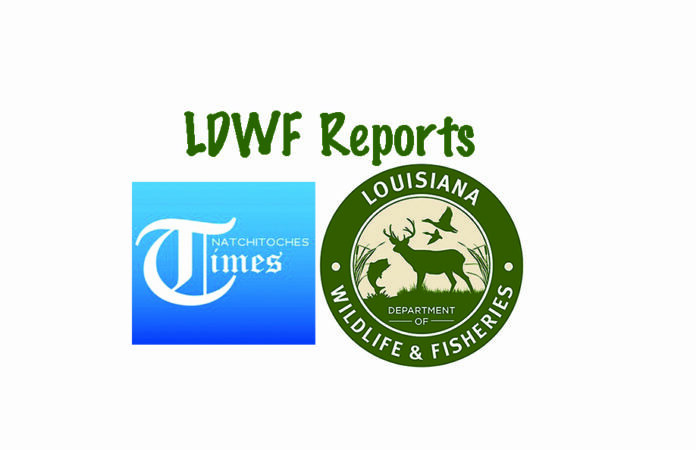 LDWF biologists will conduct a yearlong angler creel survey in 2018 to document any changes in angler behavior. For additional information regarding this regulation change, contact Jeff Sibley, LDWF Biologist Manager, at jsibley@wlf.la.gov or (318) 371-3066.